When it comes to Korean beauty, you will found that there are so many skin care products that it hard to tell the right one and wrong one. As one of the biggest cosmetics brand in Korea, Innisfree has tons of products ranging from skin care to make up. 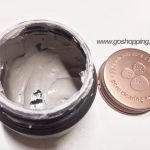 Last week, I write my review for Innisfree Super Volcanic Pore Clay Mask. Yes, it is one of the best of Innisfree. However, not all their products are good and I made some really bad decisions before. Hence, I gonna give my list of best and worst of Innisfree. It may help you to save money. I have to say Innisfree is quite an affordable K-beauty brand that suits for students and people don’t want to spend too much money on skin care. What’s even better is that some of their products are really effective and works on my skin very well. Highly recommend it! If you are oily skinned or combination skinned girls (just like me), I suggest to always put it in your kit. For me, it is one of my must-have items. The reason why I say this is because it does help to control sebum and prevent my face from greasing for all day long. Even though it comes with the only 5g powder, but it can last for a long time.Whenever summer comes or I wear makeups, I will use it as the last step of skin care routine. It has a minty scent which makes me calm down a little bit.What’s more, it will not cause pimples or unclogged acne. My bottom eye lashes are not long and thick so I felt very excited when I heard about this product. The brush is so tiny that it can darken your lashes one by one. You know, some big mascara brushes used to make my eyes looks like “panda”. I also use it on my upper eye lashes as well which brings me a really natural look. If you have thin sparse lashes or want a natural and impeccable makeup, this one would be your choice. Besides, you can use it with other mascara together. This micro mascara could responsible for some tiny part that other big mascara cannot reach. If you read my post before, You will know that I really love it. It is made from volcanic mud and has a good effect on removing dead cells and dirt. I use it as the deep cleansing mask once a week. You can read my detailed review here. I noticed that Innisfree body lotion is not popular in the US. However, I think this Jeju Camellia butter body lotion is one of best body lotions you should not ignore. The scent is floral and the texture is light and easy to absorb. 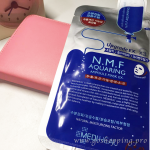 It has a very good effect on improving moisture level and suits for all skin types. I like it because it can last for a long time which is better than a lot of other body lotions. 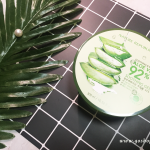 As you know, the packaging of Korean skin care products is so cute that I always make a purchase without reading any reviews( do you do the same thing as me?). Hence, I have bought some bad items and some of them belong to Innisfree. For me, this sunscreen is too heavy. The texture is creamy and my face turns to white when I apply it. In fact, I feel like my skin can not breathe well whenever I apply it.If you are oily or combination skin, it may make your face greasy. Hence, I put it aside after trying a few times. Even though I am not really an advocate of cleansing oil, I use cleansing oil occasionally. I bought this one because It sounds like lightweight and natural. The texture of this Innisfree cleansing oil is watery and the green tea scent smells great. However, the cleaning effect makes me disappointed. I start to break out after 3 days and this break-out disappeared when I stop using it. Hence, if you are easy to get clogged pores, you should avoid using this product. 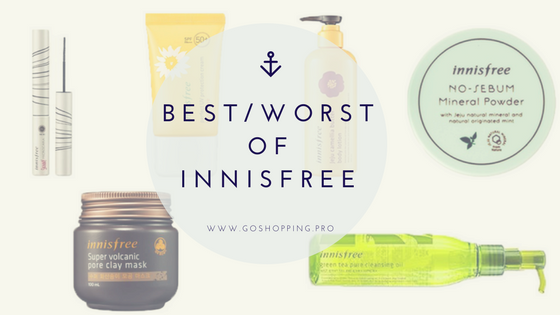 All in all, this is my list of best and worst of Innisfree. I tested more than 30 kinds of Innisfree products and got this conclusion. However, it is based on my own experience and may not apply to you.